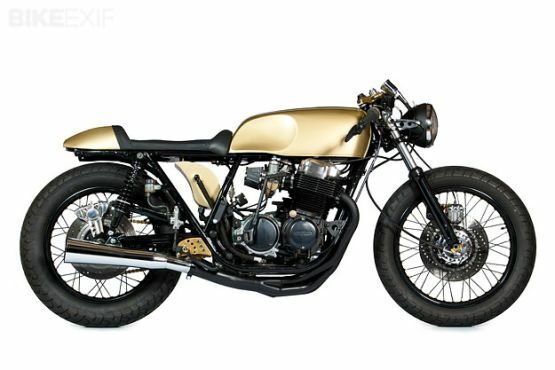 The CB 750 marked such a radical departure in styling as well as performance from the motorcycles that were marketed during that year that it came as no surprise that it was an instant success in the two-wheeler market. This was no look-alike basking in the reflected glory of its stable-mates. This was the real thing setting a trend, re-defining motorcycles in a way that no other road-going machine had done. But a motorcycle is not merely a utility product that provides service without arousing any emotion. A motorcycle is a fashion statement, an extension of the owner’s personality, an adornment which enhances his masculinity and, apart from providing him mobility, promotes his image as being not only discerning, but knowledgeable as well. By this very definition, the motorcycle needs to keep up with the changing times and stay abreast of the evolving technological and cosmetic improvements. 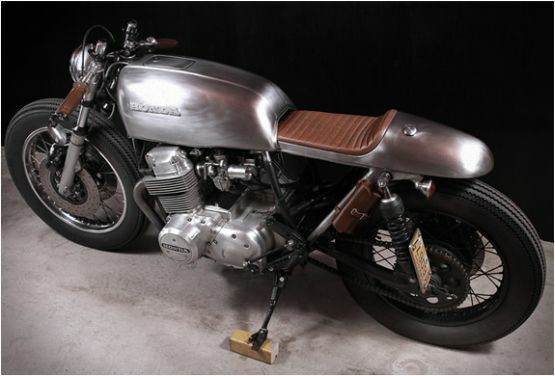 The CB 750 acquired an enviable status upon its introduction. This was ample proof of Honda’s foresight and understanding of market requirements and also of what was needed to stay ahead of the competition. To maintain their place at the head of the competition, Honda took the CB 750 ahead by a steady development process. This required focused and carefully planned enhancements, considering that the CB 750 had come in at an already high level of performance and desirability. To improve on the original was no easy task, but there were areas that were open to detailed improvements. A motorcycle is a unit comprising many independent sub-assemblies which have to complement each other to form a whole that then succeeds as a complete package. Having said that, the engine will always remain a major contributor to any motorcycle’s value. The CB 750’s single overhead cam four-cylinder engine, although way ahead in terms of technology of its contemporaries, was capable of being improved upon as were many other areas, such as its cosmetics and also the braking system. From its inception in 1969 to 1978, the CB 750 series adhered to the single overhead cam for the four-cylinder engine and each cylinder was fed by its own carburettor. The power-plant exhausted through four individual pipes into four silencers. Rubber gaiters adorned the front forks, protecting the stanchion tubes from dust and ensuring longer life for the oil seals, while they added an attractive design feature. Chrome-plated mudguards brightened up the cosmetics. Wide and slightly raised handlebars and a 19-inch front wheel lent a distinct upright stance to the CB 750, providing ease of manoeuvrability in dense urban traffic. A large naked headlamp unit and an excellent twin meter instrument cluster set-up for rev counter and speedometer, dual mirrors and flashing turn signals made for an impressive and purposeful layout. An electric self-starter system along with all the other first-time features on this mainstream production motorcycle presented an unbeatable package that left the two-wheeler industry in dire straits. With the CB 750 Honda had gained such a formidable head start in the race to establish dominance over all the other motorcycle manufacturers that the model continued without any major upgrade right up to 1975.